Peter Dempsey, MD, a Lahey Neurologist, has changed his schedule. He will no longer be seeing patients in Beverly. 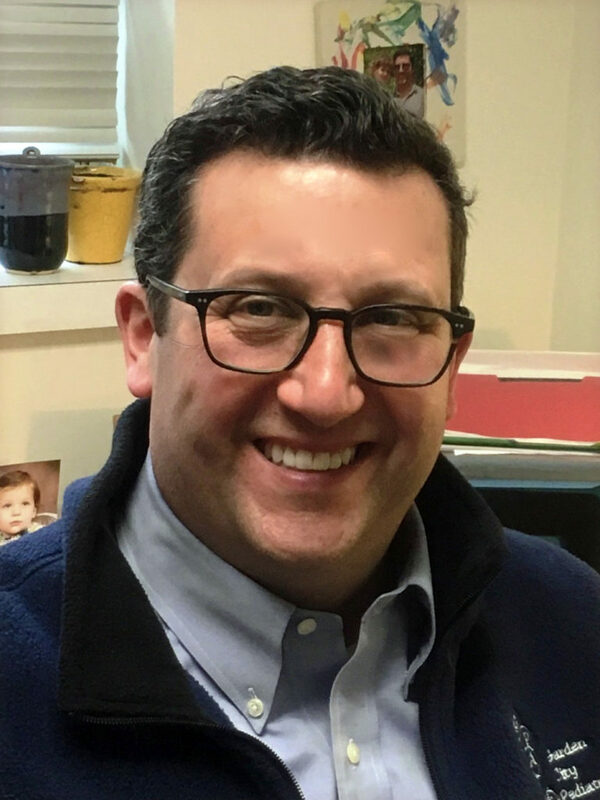 His new schedule is Monday mornings at One Essex Center Drive, Peabody, MA 01960 and Monday and Friday afternoons at 41 Mall Road, Burlington, MA 01805. Effective 1/1/2018, Randolph Maloney, MD of the Wound and Hyperbaric Medicine Center and North Shore Vascular Diagnostic Laboratory has terminated his NEPHO affiliation. Date: May 1, 2018 @5:30 P.M. Date: May 9, 2019 @ 12:00 P.M. The NECoMG Annual Meeting will be held on June 21, 2018 @ 7:00 a.m. in the Beverly Hospital Lecture Hall with video-conferencing to AGH and LOCD. Shareholder physicians will be receiving a voting/proxy packet in the mail soon. There are two Primary Care seats and one Specialist seat up for renewal. Please see below for information on the Speaker and the Candidates. 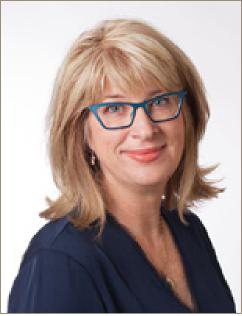 Chrissy Daniels is a national thought leader in patient experience and health care value. She joined Press Ganey in August, 2017 and brings to her role of consulting partner more than 20 years of expertise in advancing the patient experience and building an engaging and collaborative culture. She is also widely recognized for her pioneering work in the areas of consumerism and physician performance data transparency. Prior to joining Press Ganey, Chrissy was Director of Strategic Initiatives at University of Utah Health Care, responsible for teaching and coaching physicians, leaders and staff on the importance of patient experience as a measure of quality. In this role, she was also responsible for designing the University of Utah Health Care’s online physician review process, making the system the first in the country to electronically survey its patients and post the results publicly online. In addition, Chrissy worked closely with hospital, physician and executive leadership to drive culture change around improving patient experience and value in every encounter across the system. This work resulted in system-wide initiatives targeting leadership and team development, communication, and motivation which evolved into a model for cultural transformation. Prior to this work, Chrissy led hospital and clinic operations for University of Utah Health Care. Among her accomplishments in this role was overseeing $180 million of hospital construction projects, including two expansions of the University of Utah Hospital. 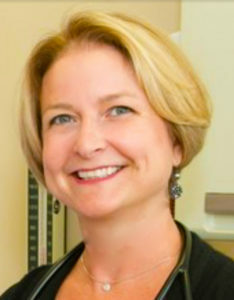 In 2013, Chrissy was the recipient, with Dr. Robert Pendleton, Chief Medical Quality Officer, of a Robert Wood Johnson Foundation grant to create ValueU, a free, open access training platform where physicians and hospital administrators from around the United States could receive experiential knowledge on the role of transparency as a key driver of high-value health care. Coinciding with these efforts, she was editor-in-chief of Accelerate, an online learning site promoting health care transformation through value improvement. Chrissy received a master’s degree in economics and health administration from the University of Utah. I am excited to run as a primary care representative to the NECoMG Board. I hope to advocate for measures that promote high quality primary care and optimize physician reimbursement in this rapidly changing healthcare environment. I currently serve on the on the NECoMG Finance and Contracting Committee which has been helpful in my understanding of the complexities and details of our insurance contracting and NEPHO operations. As a partner and pediatrician at Garden City Pediatrics (GCPA), I have seen the impact of these contracts on our private primary care practice. It is my goal to ensure we negotiate contracts that make practical sense in providing high quality and efficient patient care. Thank you for your consideration. I am a family physician who practices at Beacon Family Medicine in Ipswich which I own with two other partners. I have been working in this location for the past 15 years, and I have been very actively involved with NEPHO during that time. In 2004, I assumed the position of leader in my Family Medicine Pod and have since sat on the Medical Management Council. I was appointed to the NECoMG Board of Directors as a primary care representative in 2012. This is my second time running for a three-year term. The current health care environment is challenging and complicated. The goals thrust upon us by external forces such as government regulators and insurance companies do not always align with what we as clinicians know will most help our patients. It is a constant struggle to provide truly personal care that also balances evidence-based outcomes, fiscal responsibility and our patients own expectations and values. I consider my position on the NECoMG board to be an honor and one of the most important opportunities I have to attempt to create a positive change. I strive to provide a rational and strong voice representing primary care. Thank you for considering electing me to represent you for another term. 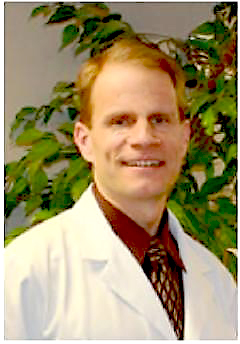 I have been serving the Beverly Hospital as an otolaryngologist for nearly 20 years. Our practice, North Shore Ear, Nose and Throat, now provides all of the ENT care to this hospital system. As our practice has taken an increasing role in providing compassionate and effective care to the patients of the Northeast Hospitals/Lahey Health, we feel the need for more administrative representation and input into the conduct of this business. This is an exciting but daunting time of change for healthcare and our businesses of medical practice. The formation of the Lahey Health system puts Beverly Hospital in an admirable position with stability, permanent care and coordination relationships, and financial resources, although affiliation with the many parts of Lahey Health is certainly a marriage of different care models. I feel that physicians must take an active role in determining the future of medicine both locally and nationally, for the sake of our patients, our communities, and our businesses. I would be humbled and honored to continue to represent your interests on the NECoMG Board of Directors. Dr. Di Lillo reviewed the content of what was being shared at Specialist Open Meetings, including how specialists can help with organizational Efficiency, Quality and Patient Experience goals. The 2016 Final commercial scorecard and projected 2017 performance projection was reviewed. Dr. Di Lillo also shared updates related to what is happening at the system/NewCo level. Liz Isaac reviewed the AQC performance by measure for 2017 compared to 2016, with discussion on performance changes, measure changes, challenges, and action plans for 2018. She also reviewed the Massachusetts Health Quality Partners (MHQP) survey launch timeline (now through July) and the survey questions pertaining to provider communication and perception of integration and coordination on the adult and pediatric surveys. Practice colleagues will continue to have opportunities in upcoming months to review survey questions, and prep for any patient questions that may arise regarding the survey. The monthly patient lists you receive will now include patients from these health plans in the diabetes and hypertension measures. This will vastly increase the number of patients on these lists. Because we want to help our physician practices focus their efforts on patients who most need it, the PHO Quality Team has decided to include on the lists only those patients who need outreach from the practice to schedule an appointment or lab test, or who have results which are above goal for that measure. Patients who have scheduled appointments will be monitored by the Quality Staff but will be hidden when the lists are printed and distributed. Also, our Data Specialists, Jennifer and Laureen, will continue to place appointment notes and/or alerts in Epic and GE Centricity EMRs for patients with upcoming appointments. Below is a timeline for the distribution frequency for each of the patient lists produced by the Quality Team. Note: “DM” = Diabetes Mellitus and “HTN” = Hypertension. Providers and office staff are always welcome to request a complete list of all of their patients in the Quality measures. To do so, please contact our Quality Team members listed below. 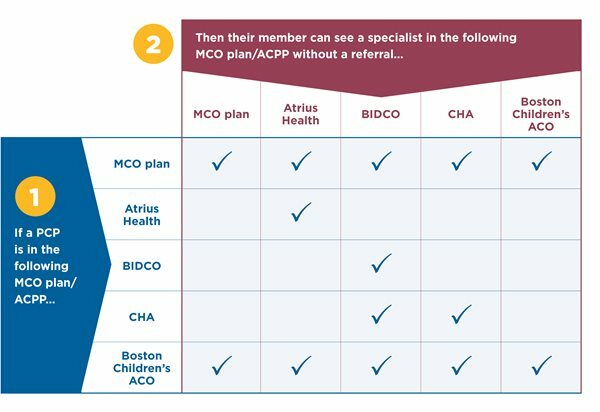 Effective June 1, 2018 or later, Tufts Health Plan will require referrals for specialist services for members of Tufts Health Together – MassHealth Managed Care Organization (MCO) plan and Accountable Care Partnership Plans (ACPP), except as noted in the MCO plan and ACPP referral chart below. Specifically, members of Tufts Health Together (MassHealth MCO and ACPP plans) will need to obtain appropriate referrals from their PCPs for coverage of specialist services based on the referral chart below, or their claims will be denied. Click here to find a guide that provides information about the member ID cards for Tufts Health Together – MCO and ACPP plans. The chart below demonstrates the updated specialist referral policy applicable to Tufts Health Together – MCO and ACPP plans. Note: Lahey/NEPHO patients (both MassHealth ACO and MassHealth MCO) follow the “MCO plan” boxes below. Click here to read Fallon’s Modifier Payment Policy. As of March 1, 2018, MassHealth managed care eligible members have new health plan options, which include the Accountable Care Organization (ACO) health plans. With this transition, the Health Connector is aware of some instances of Assister and member confusion related to consumers on Health Connector plans. Some examples include: members hearing that their Qualified Health Plan (QHP) insurance carrier is no longer accepted at a particular provider if that provider is also participating in a MassHealth ACO, or provider facilities concerned that certain insurance carriers are no longer contracting with them. As a reminder: MassHealth health plan changes, including ACO plans, do not impact Health Connector members. Following are some helpful tips. Please share with your staff and others within your organization that work with Health Connector members to help reduce misinformation related to Health Connector health plans. The Health Connector is a separate entity from MassHealth, with different types of commercial health plan options (subsidized and unsubsidized) for individuals, families, and small businesses. Applicants seeking health coverage through the Health Connector or MassHealth can apply for coverage online through MAhealthconnector.org, but these are two different programs with different eligibility and enrollment requirements and processes. The Health Connector maintains separate contracts with the commercial health insurance carriers for the plans that are available to Health Connector eligible members. Health Connector members continue to have access to their same provider networks and are not impacted by the new MassHealth health plan or ACO plan changes. Health Connector coverage will be unchanged through the calendar year. Health Connector members can consider shopping for a new plan when Open Enrollment begins November 1, 2018. Always confirm if an individual is enrolled in a MassHealth or Health Connector plan before advising them about health plan and network changes. There have been reports of Health Connector members incorrectly being told that their networks are changing. If you have access to the MassHealth Eligibility Verification System (EVS), always verify if the individual is eligible for a MassHealth program. EVS will provide information about MassHealth eligibility and information on MassHealth health plan enrollment. It will not provide Health Connector plan enrollment details. Health Connector health plan enrollment can be verified through systems used at your facility to validate commercial health plan enrollment. Ask to see the member’s health plan card. All MassHealth members receive a MassHealth card that shows the member’s name and their 12-digit member identification number. Members enrolled in a Managed Care Organization (MCO) or ACO health plan will also have a card from their health plan. Members are asked to carry both cards at all times. To view sample MassHealth health plan cards, click here for the MassHealth Contact Matrix 2018 Managed Care Health Plans. Health Connector membership is displayed on each member’s health plan card. If you or someone at your organization has questions about which Health Connector plans or providers are available in your area, please click here to visit the Health Connector Plan Finder tool. Tufts Medicare Preferred will be conducting chart reviews to find any chronic conditions that were missing from the patient claims. They expect the chart review to begin in July-August 2018 and the date range of the charts being review is January 2017 through current 2018. Once again this year, Optum/Tufts will be using CIOX as the vendor. For the plan year starting July 1, 2018, UniCare will be extending current tier assignments. UniCare will continue to use a three-tier approach for categorizing specialty physicians, and will tier them at the individual level. Members in non-Medicare plan options pay different office visit copays for specialty physicians, depending on which of the three tiers their physicians have been assigned to. This document was revised effective March 2018. To view the document, click here. This Advisory updates previous guidance MHA issued to members regarding the requirement for prescribers to check the Massachusetts Prescription Awareness Tool (MassPAT) for prescriptions provided to patients as part of the discharge planning process from an inpatient facility or following an outpatient visit. In October 2017, DPH promulgated the final version of 105 CMR 700.00, implementation of MGL C. 94C, which among other provisions, amended the requirements for prescribers to check MassPAT prior to issuing a prescription for applicable drugs. (j) Other exceptions as defined in guidance issued by DPH. With the issuance of these regulations, prescribers are now required to check MassPAT when they issue to a patient a prescription as part of the discharge planning process from an inpatient facility or following an outpatient procedure/visit, even if it is going to be filled at an outpatient pharmacy on or off of the hospital’s premises. The final regulations also removed a prior exemption for ED physicians who were issuing a prescription for less than a 5-day supply. As a result, all prescriptions issued from the ED must be checked through MassPAT prior to prescribing. Furthermore, given the exemption outlined in subpart (f) above, prescribers who are issuing a medication order for immediate use or a standing order for medications for prolonged use during the course of treatment in inpatient or skilled nursing care would also be exempt from checking MassPAT. MHA strongly encourages members to also make sure to check the MassPAT website for additional information and resources, including, but not limited to, those related to registering new providers within your facility or system and usage of a prescriber trend report. As MHA continues to work with DPH to ensure appropriate implementation of the system, including developing connections between the MassPAT data to hospital EMR systems, we are asking members to let us know of specific issues you may be encountering. In addition, if there are further clarifications needed on the current regulations, please let MHA know so we can work with the appropriate DPH staff. Should you have any questions about the regulations or the clarifications above, please contact MHA Manager of Healthcare Policy Janice Peters at jpeters@mhalink.org or (781) 262-6023. I love this office- always answers all questions. Dr. Amy Esdale should be cloned! I am very pleased with Dr. Pierre Ezzi. I feel that he and his staff are providing me excellent care. I have great confidence in him. Dr. Daniel McCullough takes time and truly listens to all concerns and works with you to find the best fit. I was very pleased with the whole experience, and Dr. Tina Waugh was very attentive and patient. Dr. Galina Feldman and her team took my health concerns seriously. She carefully and logically reviewed my medical information to help me make decisions about medical treatment. Dr. Manju Sheth always listens! Our whole family just moved to Dr. Karen Damico’s practice. We are truly impressed with her and her whole staff. She always listens and spends time! Dr. Damico is one of the best care providers we’ve had. I have great confidence in Dr. Victor Carabba. He is always respectful and listens to my concerns. Always helpful. Great staff! Dr. Leonard Horowitz takes time to listen and examine medical and family history. Dr. David Danis is excellent, always educates us and helps us make the best decision. Dr. Lance Goodman is terrific! I feel comfortable and confident in the care provided by this office.